Location: Ground Floor, Suite 2, 211 Montague Rd, West End Qld 4101Description: Modern commercial office building overlooking the Brisbane River and extensive views to the Western Suburbs.Annual Rent: $83,070 Net year one + GSTRate: $390 per m2 pa +GSTArea: 213 m2Outgoings: Estimated for financial year 2008/2009 @ $52.64 per m2Car Parks: 8 Car parks available at $150 per bay per calendar monthComment: Property located on the corner of Montague Road and Donkin Street with public transport nearby. 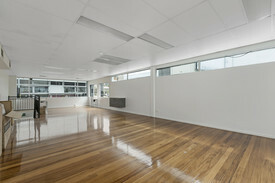 Good quality fitout may remain and own kitchen and bathroom within the tenancy. Secure parking! 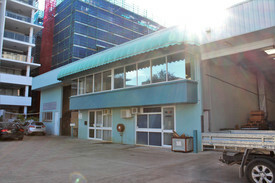 $150sqm gross lease wareh.. Price: $150sqm warehouse in the ..